Esquire had recently reported that the MCU may go through a lot of changes after the movie, Avengers: Endgame hits theatres. We also know that most of the Marvel actors’ contracts will come to an end after the last Avengers film. A few other rumours have claimed that Chris Evans’ character, Steve Rogers aka, Captain America may retire or even meet his end by the next movie and this might eventually lead to an all-new character taking up the superhero’s mantle. 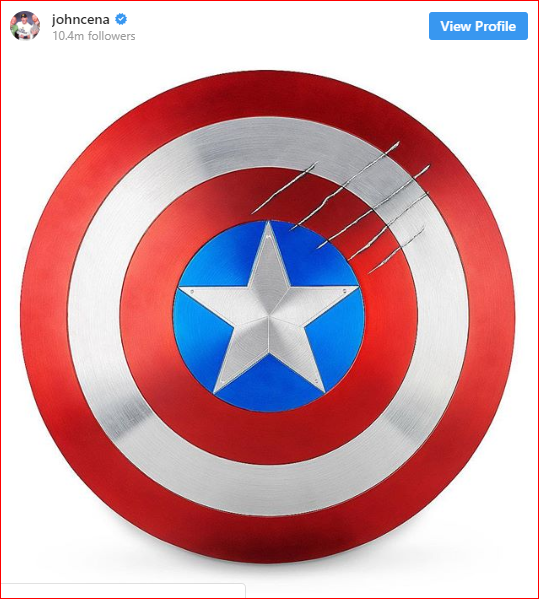 The WWE star, John Cena had added to this speculation when he had shared an image of Cap’s shield over on Instagram. The ex-champion had not captioned his image, but the wrestler/actor is very notorious for getting his fans hyped up via social media posts. 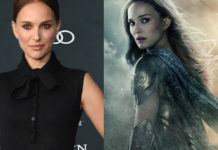 If The Leader of the Cenation actually goes on to replace Chris Evans, then this might really bad news for many actors like Anthony Mackie and Sebastian Stan who play the roles of Falcon and Winter Soldier respectively. 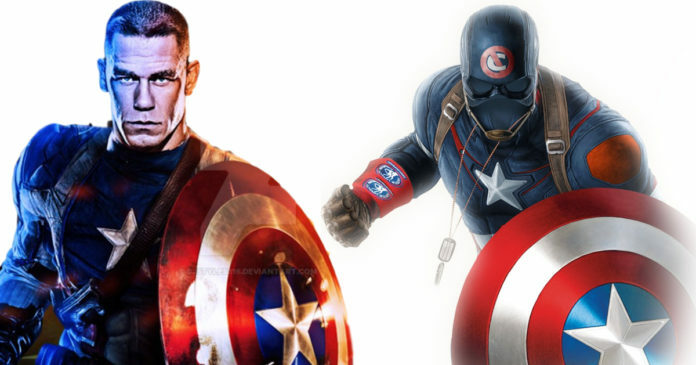 Both of these characters have picked up the Captain America mantle in the comic books. John Cena also works as a part-timer with the WWE. The 16-time world champion has made appearances in many comedies movies like Blockers, Trainwreck and Daddy’s Home 2. 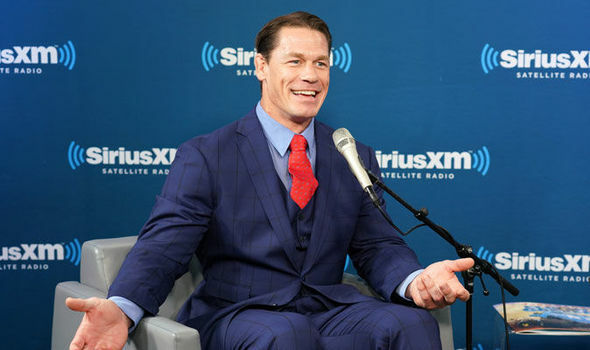 Cena has worked with many big names in Hollywood like Amy Poehler, Mark Wahlberg and Will Ferrell. 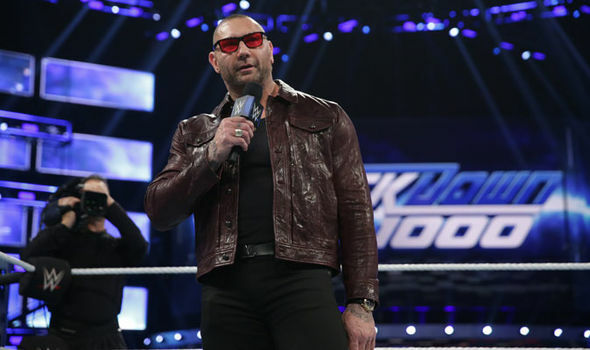 The popular ex-US Champion had also been scheduled to be a part of the WWE’s Pay-Per-View show Crown Jewel in Saudi Arabia, but he was removed one week before the event for a lot of reasons that are unspecified.